"As a doctor, I recognize that my patients are unique individuals who have placed a great deal of trust in our team. That is just one reason why I value each and every patient relationship. Rest assured, at Dental Radiance you are treated like family. Our goal is to help you achieve a healthy, radiant smile." - Dr. Ami Doshi"
After completing dental school at Bombay University in 1997 and practicing dentistry in Mumbai, India, Dr. Ami Doshi was accepted to Case Western Reserve University School of Dentistry in Cleveland, Ohio. She was an advanced standing student who delivered clinical results second to none. 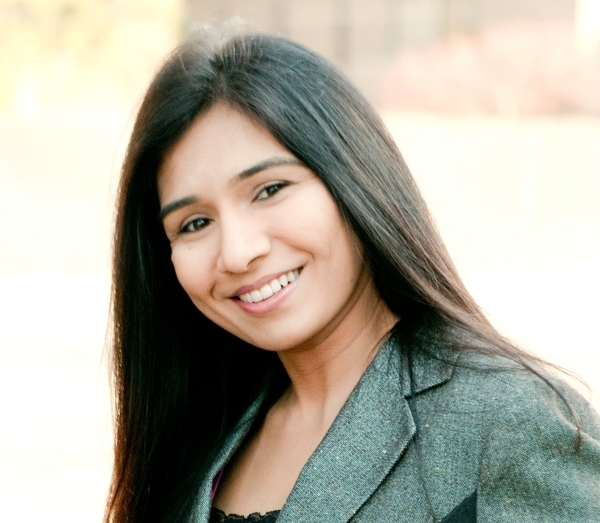 Dr. Ami Doshi has practiced dentistry on the east coast and came to Michigan in 2007 where she has been transforming people's lives by offering superior dental care and delivering healthy, beautiful smiles in a comfortable setting. Dr. Ami Doshi is an active member of the American Dental Association, Michigan Dental Association and Oakland County Dental Association. Dr. Ami Doshi has a passion for taking exceptional care of people - whether you are looking for functional dentistry or cosmetic services, you will feel right at home and valued as a patient at Dental Radiance. Dr. Doshi is devoted to her patients and profession by staying on the leading edge of new and innovative techniques to achieve beautiful and functional results for her patients. She is certified in Lumineers which allows her to use advanced technology to transform smiles painlessly without removing tooth structure. Great pride is taken to ensure each patient is treated as an individual. At Dental Radiance, we work with you to achieve your vision of your ideal dental health. She lives in Troy, Michigan with her wonderful husband, Pranav and two adorable sons, Ruhaan and Aarav.